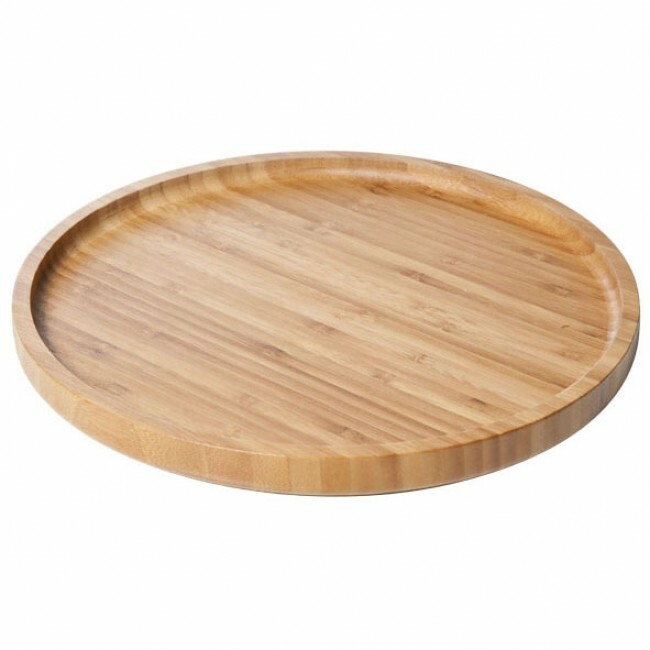 The round wooden snacks board 11" / 28 cm from the Cosy & Trendy brand is perfect for aperitif cocktail or welcome drink time. Your appetizers will be beautifully presented on this wooden board which will bring a natural look to your table decoration. For perfect convivial moments with family or friends, in order to create a beautiful atmosphere or to embellish your culinary creations, table accessories such as this beautiful wooden board of 11" / 28 cm with its natural finishes of the Cosy & Trendy brand, are quintessential. Whatever it is for cutting boards, kitchen ustensils such as spoons or even ham-holders, the wood remains highly used in the kitchen and like every material, a minimal care is necessary to preserve its genuine properties. For the cleaning, simply wash your ustensils and then dry them after the rinsing along with the help of a cloth. You also can apply some vinegar on a cloth to give back your ham-holder's brightness.